The Jeep Grand Cherokee is a popular full-size SUV that has been fitted with some unexpected performance features. Our team in Winnipeg are very impressed with the Grand Cherokee's acceleration and handling. Jeep has spent serious time and money making the Grand Cherokee into a performance machine. The Grand Cherokee delivers its performance through the use of its many drive modes. It has a drive mode selector that can tune the software for whatever lies ahead. It has modes for towing, snow, auto, sport, and track. This makes the Grand Cherokee a versatile daily driver. Another feature of the Grand Cherokee is its launch control. This mode will tune the whole SUV to get ready for the fastest acceleration possible. If you would like to take a Jeep Grand Cherokee for a test drive and learn more about the performance features, visit us at Gauthier Chrysler Dodge RAM Jeep. 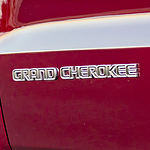 Our staff is knowledgeable and is passionate about the performance the Grand Cherokee can provide.